El Burro Estate was established by our mother's father Amado Boutet, who's father Aristides Boutet had immigrated from France in the 1800'a. One of our prize winning and now famous coffee farm. The Lamastus Family, a coffee growing family since 1918, is the owner of the Elida Estate and El Burro Estate coffee; both coffees have been winners of many quality prizes in international and local BOP cupping competitions, The elevation of the farm, the quality conscious and quality oriented grandfather Thatcher, son Wilford and grandson Wilford Jr the passion for coffee and the family tradition have made this possible. El Burro coffees are produced in one of the most undisturbed coffee farms in Panama, like Elida farm, part of it is also inside the Baru Volcano National Park. 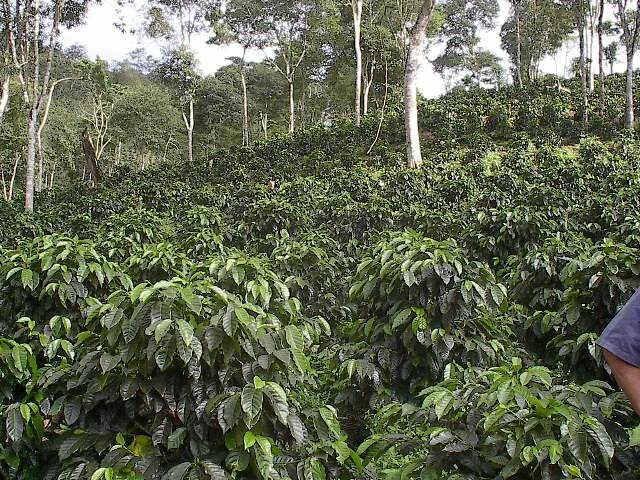 Organically-grown, shade-grown, bird friendly, the farm is located at a very high elevation (farm goes up to 2,000m, coffee up to 1,800m), in a micro climate with very low temperatures for coffee. For several years we have offered the third-wave coffee roaster our super-specialty coffees: Washed, Honey and Natural. Our 21 small roasters from all over the world keep coming back for their micro-lots. They cup and pick their preferred lots based on cup attributes. This 2016 season we did over 50 separate lots and are shipping each lot separated to our roasters in: Taiwan, Japan. Australia, Norway, Sweden and USA. El Burro farm has a total of 50ha of which 20ha are planted with Geisha and Catuai, 10ha are to be planted and the rest is a private forest reserve or is inside the VBNP. Coffee in this farm is only grown up to 1800m (~6000ft). Like in the Elida farm the coffee trees are surrounded by the Volcan Baru National Park -a virgin-native cloudy rain forest, the nights get cold here, these low temperatures also extend the ripening time. All these unique growing conditions show in a distinguished cup. This coffee is produced under a unique world-condition for several reasons: first the farm is located at a very high elevation (one of the highest coffee farms in Panamá), it is grown in rich young volcanic soils, the temperatures are low, there is lots of fog and mist during the dry season, the coffee trees are surrounded by virgin-native cloudy rain forest, the nights get cold here thereby taking a tree from 4 1/2 to 5 1/2 years to start producing (2 or 3 years longer to produce than average), these low temperatures also extend the ripening time 1 month longer (thereby the development of the bean). All these unique growing conditions show in a distinguished cup. The Baru Volcano National Park is one of the highest volcanoes in Central America, with 14,000ha and 7 different climate zones depending on the elevation and we are part of it in both of our farm. It offers an elaborate basket of flowers and ripe fruits, jazmin, orange-peel and plums Delicate, elegant, sweet, juicy. A sparkling citrus acidity with extraordinary brightness. Very balanced cup.